Please visit our Frequently Asked Questions for the fastest answer to most questions we get. By far the most asked question is “When can I visit? or When are you open?” If you want to come visit the space and learn more, the best time to do that is to come to one of our Open Make Nights on Tuesday evenings. Check Meetup.com for schedules. The second most asked question is “How can I get something 3D printed / scanned / made for me?” As an organization we don’t do work for hire like that but some of our members do. The best way to connect is to send us an email with some details on the project and we can forward that to the best members that do that sort of work. Phone: (813) 438-6221 (This is not a great way to reach us. It goes directly to voicemail so nobody will ever answer the call. Someone has to take the time to listen to the call and usually write an email to the appropriate people before someone calls you back. Please just send an email if you can. 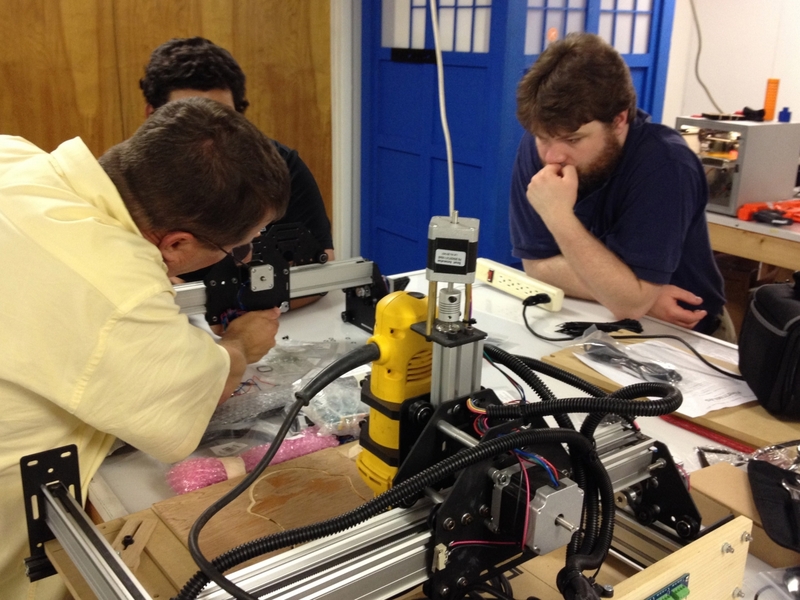 To reach most of our members, visit our Tampa Hackerspace Facebook group. That’s a great way to get connected and many people are available to answer questions. If you are interested in becoming a member and want to check out the space, please look at Meetup.com to find our next Open Make night for a tour.